Long durational performance Desapareciendo / Disappearing (2014). With the participation of Silvia Cegalin, Boris Contarin, Lorenza Dalla Valle, Alicja Khatchikian and Letizia Liguori. Co-curated by Martin Renteria | TRANSMUTED Network. Melissa Garcia Aguirre, Disapareciendo/Disappearing. Venice International Performance Art Week (2014). Photograph by Monika Sobczak. Born in 1987. Lives and works in Monterrey, Mexico. Visual and performance artist, art therapist and independent cultural manager, Melissa Garcia Aguirre is interested in exploring the relationships between the tangible and the intangible as potential tools of intervention, as well as individual and social transformation. She explore areas such as the human body, the abject, identity, autobiography, nature, and processes of social welfare. She understands and lives artistic activity as a flexible process. She is interested in art as a liminal phenomenon to be expressed through a multi-disciplinary practice including performance, installation, intervention, video, collage, artist books and objects. Currently she focuses her work on two complementary areas: the production of installations and interventions seeking to influence on interactive processes in areas of social vulnerability, and the poetic production linking human beings with nature from the perspective of belonging. 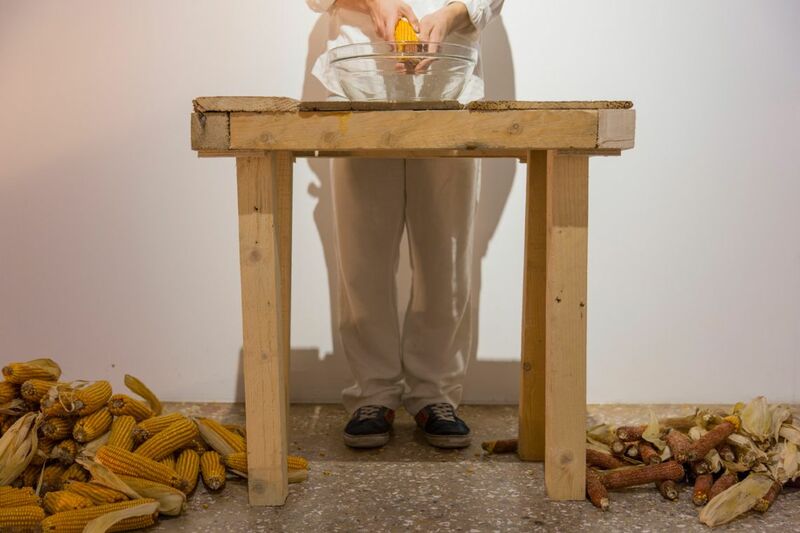 At the VENICE INTERNATIONAL PERFORMANCE ART WEEK 2014, Garcia Aguirre presents the new long durational performance Desapareciendo / Disappearing, a homage to over 30.000 persons that went missing since 2006 in the State of Mexico. Presented with the kind support of NUEVO LEON UNIDO and CONARTE&CONACULTA.